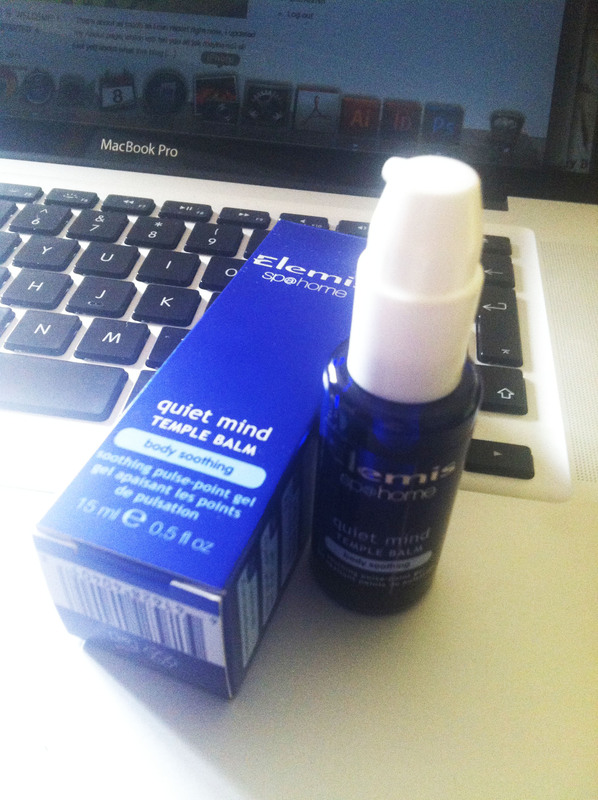 Quiet Mind Temple Balm by Elemis. I saw this when I had a spa weekend away last year, but didn’t purchase as we’d already spent a small fortune that weekend! I bought it recently for me and my partner to use, he works extremely hard is is particularly stressed with work at the moment so I thought this would be ideal for us to use and share, plus an opportunity to give each other a head massage to boot! It smells divine! It uses essential oils including patchouli, eucalyptus, lemon and menthol. It has an instant calming and cooling effect on the temples and as you sit and breath in the aroma, you do find that you are taken into a calm, quiet space – it’s perfect for an immediate hit of chilled relaxation. Massage this Elemis Quiet Mind Temple Balm into the back of the neck, earlobes and temples to promote harmony, tranquillity and ultimate relaxation. Blended with gorgeous essential oils the Elemis Quiet Mind Temple Balm is the perfect way to promote relaxation, to help you unwind even after the most stressful of days. Directions of use: Rub onto fingertips and massage into back of neck, earlobes and temples. I’ve only used this at home but expect it would be fantastic to use in the office and take with me in my handbag when out and about. It’s well worth the money and i could see it lasting a long while as you only need a small pump of product and it goes a long way! I totally want to try this product!